Am outstation the whole of this week. Snap some batik kaftan pictures before I left for my work trip and spend my nights at the hotel uploading the pics. So.. what do you think? The pictures are a bit clearer and brighter. Had uploaded some newer batik kaftans design - simple cross flowers design with dual tone fun refreshing colours and kaftan gold line. Think the store looks nicer and fuller. 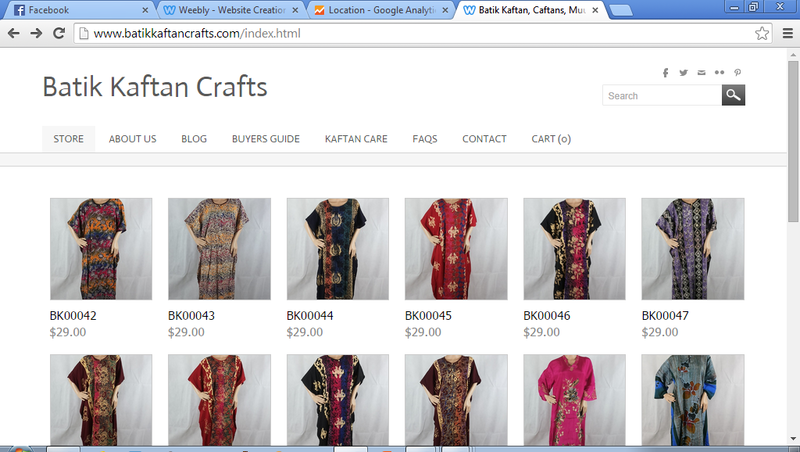 Had more batik kaftans to snap as well upload hopefully next week when I am back home. Stay tune!